Are you looking for the best outdoor laser level for accurate leveling? Finding the one that matches your needs can be frustrating with the dozens of brands out there claiming to design professional-grade leveling tools. While a pro-grade exterior laser level means accuracy and speed in your construction, such a tool doesn’t have to cost an arm and a leg. The secret is understanding where you’ll use this tool in the foreseeable future! With the following outdoor laser level reviews, you should be able to identify the device that solves your leveling and alignment puzzles. Take a quick look at top 3 laser levels that we believe the best investment for outdoor construction and surveying tasks. For more exterior/interior laser level recommendations and detailed feature comparison, read on. 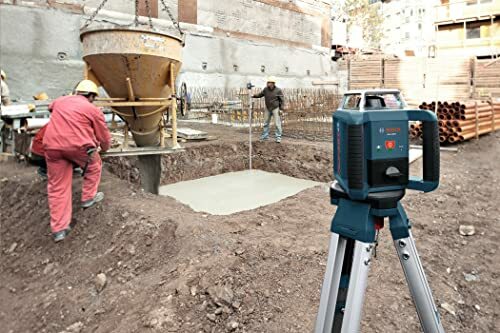 For professional builders and contractors, a reliable laser level for outdoor use is a tremendous time saver when checking the site layout, finding land elevations, and setting foundations accurately. Why did we recommend these laser levels as the best outdoor laser level? Laser levels for exterior works come with a laser receiver that detects the laser. They also pack other unique design features including self-leveling capabilities, long laser ranges, and high leveling accuracy! The construction laser levels in this article not only pack these specs but they are also the most well-built, durable laser levels that are specially designed for outdoor uses and can withstand the toughest environment on construction sites such as rain, water, drop, heat and vibration. Find out more with our detailed reviews below. Rotary laser levels are the ideal laser levels for outdoor use. That is where they were designed to work! To help you quickly and conveniently tackle your exterior leveling and alignment works! The working mechanism of a rotary laser level is pretty straightforward, more so when the laser level includes a self-leveling feature. With an adjustable tripod and a laser detector, you should be able to accomplish a lot within a few minutes! Once only found in large construction sites, technology has made them affordable for small contractors and builders! In the inside, the current rotary laser levels have been refined to be more accurate and with strong lasers for long working ranges! It didn’t stop with technology, as their smaller and sturdy designs have made them easier-to-use without the need of a helping hand! Today’s rotary laser levels can endure all types of working environments and accidents. The following devices pack such impressive features. Whether you need an industrious device for road grading and foundation layout works or a multi-purpose construction laser level for your professional building, you should be able to find it here! Topcon RL-H5A Self Leveling Horizontal Rotary Laser has the longest working range in this list. 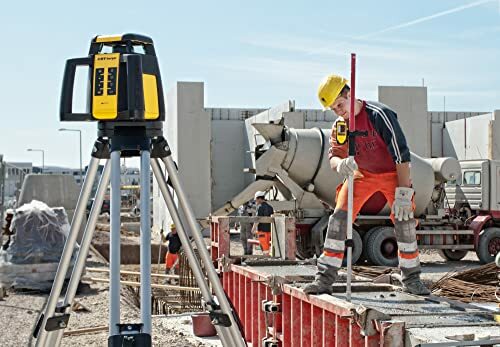 Considered as a successor of the famous RL-H4C, this rotary laser combines high horizontal leveling accuracy, versatility, and value to make it the best outdoor laser level. 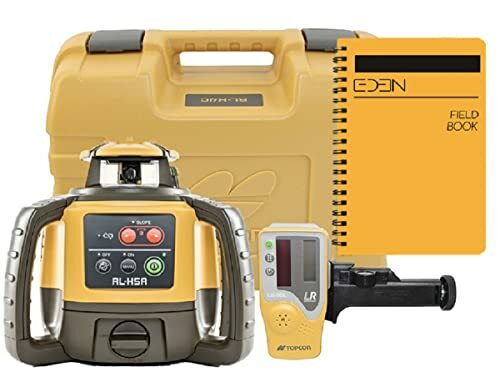 Topcon RL-H5A is a powerful laser level that has an accuracy of 1.5mm, long-range of active use (up to 2600 feet or 800 meters), and a manual 1 axis slope. The tool’s super-faster self-leveling motors give you results that are accurate to ±10 arc seconds (±1/16 inch at 100 feet). Impressively, it will auto self-level within ±5° of level. If you are working on a construction site and a moving vehicle shakes the ground, the device self-levels when disturbed. Its rigid IP66 weatherproof rating makes it ideal for use in all-weather conditions. You don’t need to worry that the internal components may get spoiled when working in rainy or dusty fields. This device is job site tough and impressively withstand such environments! Its 2.3kg weight and advanced features render it bulky and inconvenient for the average user. However, hey, this is the perfect professional laser level for outdoor use! Topcon RL-H5A Self Leveling Horizontal Rotary Laser superb working distance and high-accuracy make it stand among best rotary laser levels for exterior work. Moreover, the kit includes a LS-80L smart-long-range receiver, a soft carrying case, and batteries to get you started! 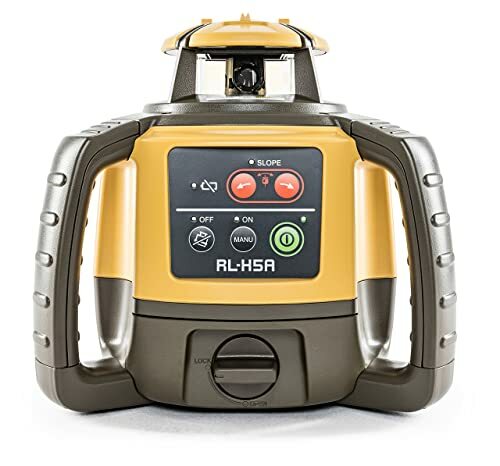 Topcon RL-H5A is part of the Topcon’s RL-H5 series, a lineup that also features the RL-H5B rotary laser. You can easily confuse the two devices on the first glance as their exterior features are almost identical. However, RL-H5B not only lacks the manual slope capabilities but also features an accuracy of 3.0mm and a range of 1300ft/400m. You want to be very keen here not to end up with the wrong device. CST/Berger RL25HVCK Rotary Laser Level is the perfect device for projects that involve both interior and exterior leveling and alignment. 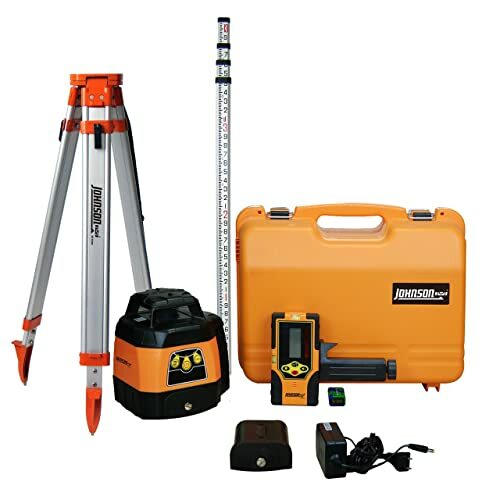 It is the best valued interior/exterior laser level kit owing that the package comes with an RD1 detector, tripod, and remote control. CST/Berger RL25HVCK self-levels both vertically and horizontally with ±5 degrees of level. Thanks to the vertical beam that renders it an ideal interior exterior laser level. The vertical beam comes handy in plumb applications. It also offers an easy and accurate layout of 90-degree corners. With its 3/32 accuracy levels and a decent working range of 2,000 feet/610 meters, you should manage to accomplish any professional building or outdoor construction project such as building pools, contour framing, drainage and setting foundations. Beyond its accuracy levels, CST/Berger RL25HVCK features an excavation mechanism that allows its horizontal laser to rotate or stay still as per your adjustments. Such a feature is ideal in the construction site when you want to level to precision effectively. Its durable glass-enclosed top housing and the rugged design enhance its ability to withstand harsh working environment outdoors. Whether you are working in a dusty site or in a location that is drizzling, this construction laser level has been made to go to such extremes! CST/Berger RL25HVCK Rotary Laser Level shines as the best indoor outdoor laser level for professional use. However, its advanced features might be quite complicated for the average builders that only need simple multi-purpose laser tools. CST/Berger RL25HVCK Rotary Laser Level delivers professional performance when put into use in both interior and exterior working set-ups. From handling simple electrical installation tasks to complex construction project outdoors, this device does the magic of leveling and alignment! Bosch is a popular brand in the home building and construction world thanks to its reputation of engineering and manufacturing high-quality tools. The Bosch GRL400HCK rotary laser comes in such a superior design with impressive specs that make it stand-out as the Best Bosch Outdoor Laser Level. Bosch GRL400HCK features a smart pendulum system that helps it self-level. Its manual mode locks the laser at any angle for slope leveling. This device includes the Bosch-patented dual-laser system with horizontal lasers for high-accuracy leveling. The dual-laser system can be used individually or together as well as indoors and outdoors. The emitted laser is strong enough for a long working range of up to 1,300 feet with an accuracy of 3/32 at 100 feet. Nevertheless, this device indicates out-of-level conditions for accurate measuring. The Bosch-patented motorized microfine plumb alignment offers for a convenient beam adjustment without the need of relocating the unit. The laser beam customizations make it very versatile. They can be customized up to 6-lengths and in 3 rotation speeds of 350, 600, and 1200 RPM for easy visibility and different applications. It’s IP56 certified justifying why it is the ideal Bosch exterior laser level for use in the most extreme working conditions like grading in a wet environment. The internal components have been enclosed in a glass cage for upgraded protection. Professional builder and contractor can set-up and operate this device super smoothly. However, the average DIYers who need a professional quality laser level might experience a learning curve as they get their hands on it. 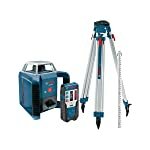 Bosch GRL400HCK Exterior Self-Leveling Rotary Laser is a versatile and high-precision device that can handle almost all kinds of indoor and outdoor leveling and alignment projects. You can not go wrong with this Bosch device. Hilti takes the exterior leveling technology to another level! Its PR 2-HS A12 laser level features a robust outdoor rotating laser with 360° impact protection. Hilti PR 2-HS A12 Robust Outdoor Rotating Laser has been made to outlast almost all the other tools in your garage! 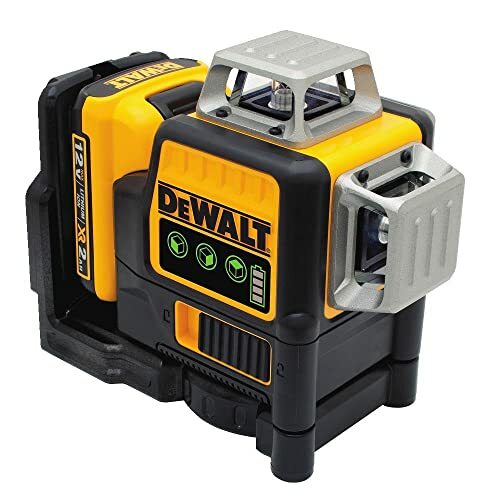 It features a unique head combined with four shock-absorbing handles and a rugged IP66 protected housing that can withstand the harshest job site environments. If you are leveling rugged construction site and the tool gets tipped-off and falls accidentally by other moving machines, it will not only withstand such extreme accidents but also maintain its precision. It comes with drop resistant technology that protects both the internal components and its impressive exterior design. The universal rotating laser efficiently helps you handle horizontal and manual slope layout tasks. 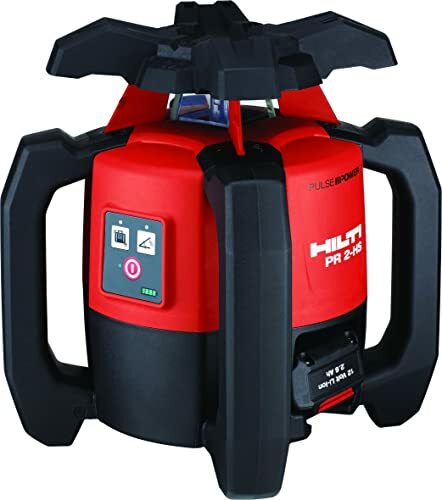 Hilti has equipped this tool with Pulse Power Technology that ensures the laser beam is unaffected by sun and other light sources for perfect visibility when put to exterior use. Just like the other devices in the list, this tool features a long working range of 1969 feet/600 meters with an accuracy of ±0.02 in at 33 ft. The Li-ion battery only last for about 16 hours when its put into operation. However, its CPC technology offers for better power management, and the battery only recharges in 35 minutes. Hilti PR 2-HS A12 Robust Outdoor Rotating Laser is the most advanced rotary laser level for outdoor use thanks to its well-engineered design and powerful features. This Hilti outdoor laser level is the best investment for professionals looking for both hi-tech and robust laser leveling device. Johnson Level & Tool 40-6552 exterior rotary laser level kit seals our list of the best outdoor rotary laser levels! It is a simple but highly-powerful device that is very easy to operate. The Johnson 40-6552 is an inexpensive laser level for tackling various outdoor applications like site preparations, grades establishment, setting foundations, and contouring. The simple design of this exterior laser level not only makes it easy to use but also affordable compared to the rest of the devices in our list. With this user-friendly device, you have a professional laser level for outdoor works that the average user can smoothly operate. This construction rotary laser level has a range of up to 200 ft for interior use and 2,000 ft when paired up with a receiver in outdoor conditions. It auto-levels within 5° and delivers accuracy of 1/8″ at 100 ft.
One of the most significant features is that, it includes a vibrate mode that ignores slight disturbances such as when you are operating in windy conditions. While the device can last for almost 36 hours with 4 “C” alkaline batteries, Johnson doesn’t include them in the package. Johnson 40-6552 Electronic Self-Leveling Horizontal Exterior Rotary Laser System pack everything that you need to get started with your outdoor leveling. It is the perfect device if you are on the look for laser levels for occasional outdoor use! Line laser levels dominate the indoor leveling world! Their precise leveling capabilities and ease of use make them suitable for interior applications like kitchen cabinets installation and wall paint hanging. Such line laser levels with pulse features can be used in limited exterior applications like aligning fences, building decks, setting up the drainage, rough and fine excavating and foundation layout. 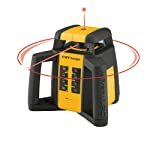 The following devices are top-rated line laser levels that have been tested to work pretty well under bright light conditions, making them the most suitable line laser level for outdoor use. A Bosch laser level yet again in the list! 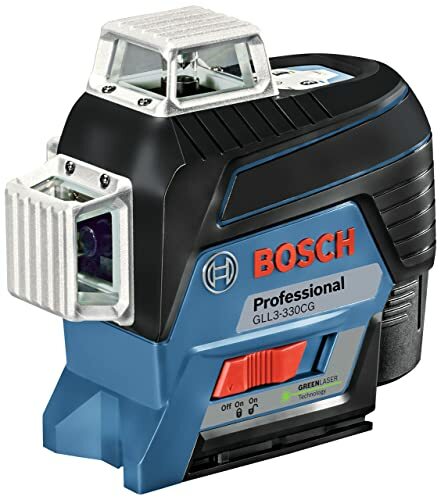 The Bosch GLL3-330CG Three-Plane Leveling and Alignment-Line Laser is a versatile device that works excellently both outdoors and indoors. Bosch has engineered the GLL3-330CG line laser level to give you a complete level and an alignment laser. It is an all-in-one device with 200 ft interior and up to 330 ft outdoor (with pulse mode and the optional LR8 receiver) working range. The Bosch GLL3-330CG comes with VisiMax technology that monitors the diodes temperature and battery power consumption. It then optimizes the line visibility to protects the diodes from over-heating and also extends the battery life. 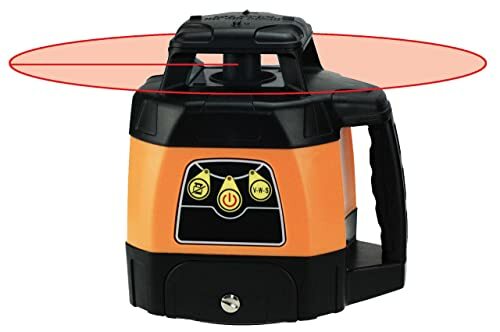 This line laser level generates three green-beam laser chalk lines in 360° laser planes, two vertical and one horizontal. The green laser is up to 4X brighter than the standard red laser beams. Do you know what is the best thing about this laser level? That is you can easily control its setup from across the working field with your smartphone and a Bluetooth connection. To do that, you need to install the free Bosch Leveling Remote App to your phone. With this handy function, you can save tons of time walking back and forth across the area to operate the laser level. A super time saver! An outdoor working range of 330 feet might be okay but not the best when you work in large construction projects like road grading and other complex projects. 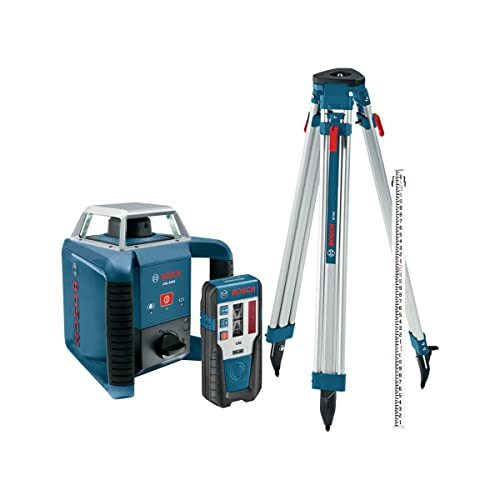 The Bosch GLL3-330CG is a versatile device for the average professional builder. The VisiMax technology and extended laser range make it an ideal laser line level for both indoor and outdoor use. For our latest reviews on best laser line levels, read this article. The DEWALT DW089LG line laser level has much likeness to the Bosch GLL3-330CG line laser level. A full-time pulse mode allows for its use with a detector. DEWALT DW089LG features an indoor working range of 100 feet and outdoor range of 165 feet when paired with a laser detector. With an accuracy level of 1/8” at 30 feet, it is the best DEWALT line laser for interior and exterior applications. It features three-360⁰ green laser beam. The 4-time brighter green laser beams offer for greater visibility range of up to 100 feet when working indoors. The DEWALT DW089LG also features an over-molded housing with an IP65 rating for water and dust resistance. It is a powerful laser level tool that can withstand most of working environments including minor accidents. This laser level does not auto switch off when not in use after a few minutes. It is a feature that would save the battery power, although some users prefer this kind of feature. The three-360⁰ line lasers allow for the tools application in almost all interior layout and leveling projects. Nevertheless, the brighter green laser beams make the DEWALT DW089LG line laser level to shine in outdoor applications. The process of finding the best outdoor laser level can be challenging. More and more brands are innovating and designing new units that they promise better exterior leveling capabilities. With the above outdoor laser level reviews, you should be able to find the device that best suits your intended applications. For a pro-grade builder who is on the look for top-notch features and powerful outdoor laser level, I would recommend the Hilti PR 2-HS A12. 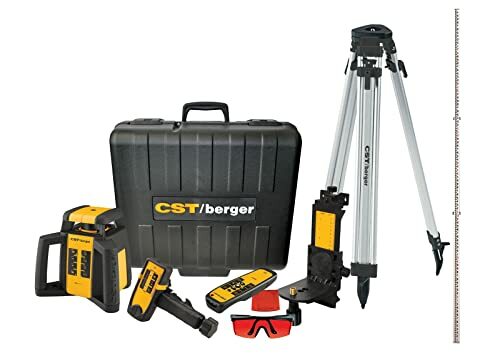 On the other hand, the CST/Berger RL25HVCK gives you an excellent value kit that can be used both indoors and outdoors. For home owners who want to find a reliable outdoor laser level at a very affordable price, the Bosch GLL3-330CG would be a good choice. Which outdoor laser level would you choose? Don’t hesitate to share with us your choice in the comment section below.